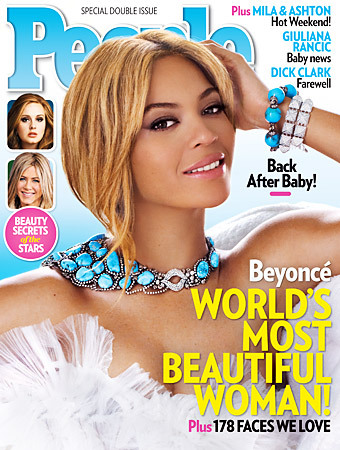 People magazine just named Beyoncé 2012′s Most Beautiful Woman, and the beauty and style icon credits her daughter Blue Ivy for her gorgeous glow. “I feel more beautiful than I’ve ever felt because I’ve given birth,” she told People. “I have never felt so connected, never felt like I had such a purpose on this earth.” Mrs. Carter has made the list nine times now! The issue hits newsstands Friday – check it out tosee who else made this top ten list.